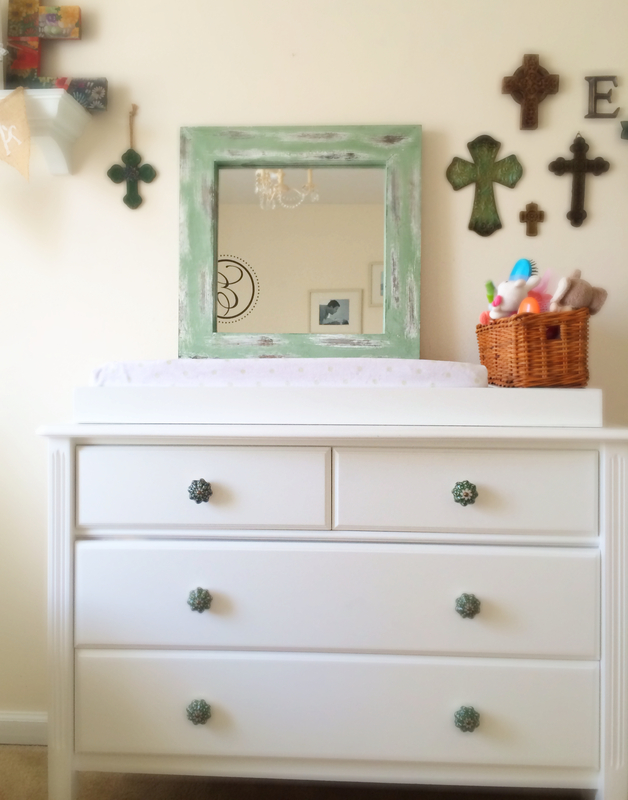 Swapping out the hardware on a chest of drawers is one of the easiest ways to make a dresser all your own or bring out vintage charm on an otherwise boring piece of furniture. They are particularly great in kids’ rooms and nurseries where there is often a theme or a stand-out color. And for an eclectic look, try mixing up the style of drawer pulls you choose. 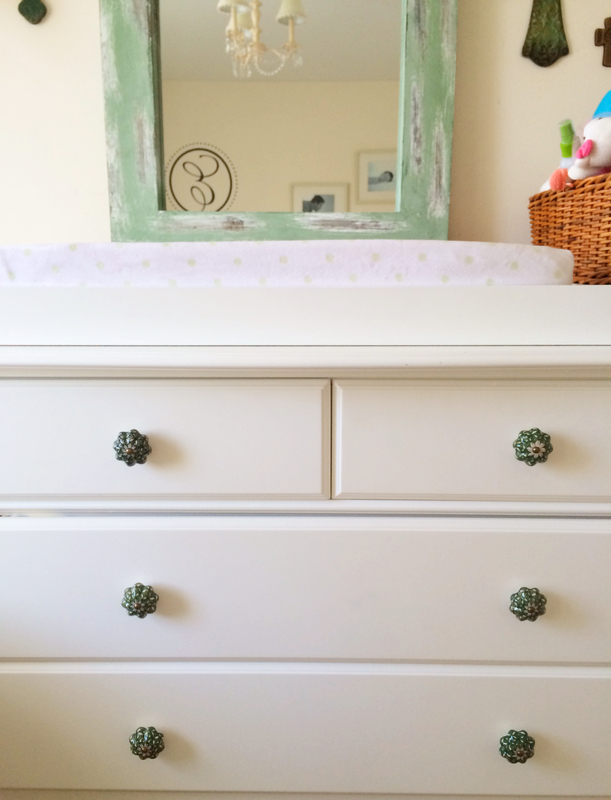 Take this white dresser we got for Emma’s nursery (now big girl room). We loved the beautiful, clean lines, the overall simplicity of the piece, but we wanted to make it a little more unique. We wanted to create an old feel with a new purchase. And these inexpensive knobs from World Market helped us do just that. Love the geode pulls! They are modern and earthy at the same time. love those! they would look great in a kitchen!